Are you searching for dry cleaning services in the Troon area? 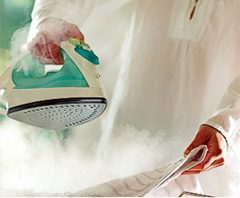 Darley Launderers and Dry Cleaners have been providing high quality laundry and dry cleaning services to both domestic and commercial clients in and around the Troon area for more than 40 years. We pride ourselves on our quality, reliability and in offering a friendly personal service. 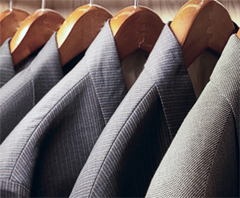 We believe we are a natural choice for all your dry cleaning requirements. 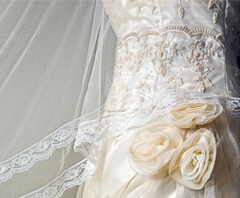 Our specialist services include wedding dress cleaning, kilt outfits, prom dresses and curtain cleaning, all individually inspected & hand finished. As we all lead busy lives and have little time for laundry, why not bring your washing to Darley Laundry & spend your precious free time with your family. We enjoy a long-term relationship with the some of the most prestigious hotels and golf clubs in the area. We can also provide dry cleaning for front of house staff and guests, and our company offers a 20% discount for commercial customers (please get in touch with us for more details regarding this discount). Other services offered are: Bulk Washes and Dry Cleaning for both domestic and business customers. We also have machines which can wash king size duvets, quilts & sleeping bags. All washes are done on a warm cycle however hot/cold washes can be done on request. Our Work is of high quality We offer a friendly service with very fast turnarounds of your laundry. We have state of the art brand new environmentally friendly machines. We offer a free pick-up & delivery service for commercial customers only.There is a car park at ther front of the shop making it easy for drop off and pick up. Pop in and learn more about our local laundry services.